eklavyabooks की गपशप . . .
How often have you thought that all children should have the opportunity to get meaningful education. Meaningful education for all to build an egalitarian and just society on the path of sustainable development. We believe that the education system needs innovations that respond to the needs of children and redefine the role of teachers. Since the last three decades and more, Eklavya has been striving to translate this dream into a lived reality for all children. Working towards the goal of social change through meaningful education, it conducts researches and evolves curricular models at the micro level and attempts to implement them in the mainstream system to bring about change in the school education system in India. Eklavya was set up in 1982 as a non-government registered society. From the onset, it took up the academic responsibilities of the landmark Hoshangabad Science Teaching Programme (HSTP), then being jointly run by the state government and two voluntary organisations, Kishore Bharati and Friends Rural Centre. Alongside, it developed and implemented the innovative Social Science Teaching Programme and the Primary Education Programme (PRASHIKA) in the government schools of Madhya Pradesh. More recently it worked with the National Council of Educational Research and Training (NCERT) in developing the National Curriculum Framework (NCF) 2005 and the syllabuses and textbooks based on the NCF. Eklavya continues to actively seed and develop academic programmes for curricular change in elementary education, at the micro level, and mainstream them through government and non-government agencies. It has now initiated work in curricular research and material development in language and math in the primary stages and science and social sciences in the high school stages. 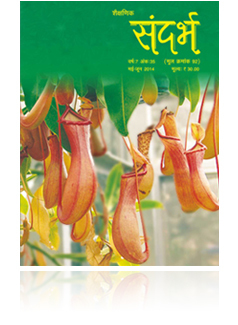 This work of curricular critique, research and material development fuels its ongoing engagements with the State Councils of Educational Research and Training (SCERTs) of Bihar, Chhattisgarh, Rajasthan, Kerala and Andhra Pradesh in providing them academic resource support in developing curricula and textbooks in various subject areas. Teacher professional development is another area that Eklavya is engaged with through research, material development and conducting teacher capacity building workshops. Eklavya also works with the community in about 100 villages in five districts of Madhya Pradesh to run learning centres (Shiksha Protsahan Kendras) for first generation school-goers. These attempt to enhance community involvement in education and build linkages with the government schools to demand quality and efficiency. In addition, 70 libraries in government middle schools spread over 6 districts in Madhya Pradesh try to entrust the ownership and management of the libraries in the hands of children. Regular reading-writing activities in the libraries are also positively impact the learning of language and other subjects in children. 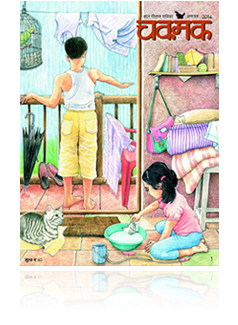 Eklavya’s publishing and dissemination efforts are guided by its school and community based programmes. The overriding concern is to keep the reading material close to the life and environment of the readers and also produce it at a price they can afford. In this context it publishes three magazines - Srote, a weekly feature service for newspapers focusing on science, technology and science-society interface issues, Sandarbh, a bi-monthly teachers’ resource magazine on science and education, and Chakmak, a science magazine for children. 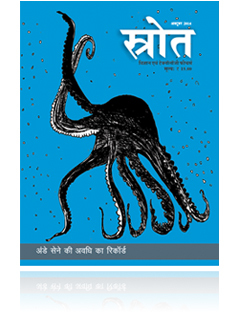 Eklavya has published book titles in Hindi, English, Marathi, Gujarati, Bangla and Urdu. It has also published some titles in non-mainstream languages like Gondi, Korku, Malwi and Bundeli. PITARA is a one-stop-education-store conceived by Eklavya that makes available a range of carefully selected books and educational materials of select publishers and organisations from India. It also disseminates the Eklavya materials. Eklavya's Bhopal office is shifted to new premises, phone nos have also changed, please note and update new phone nos and address.